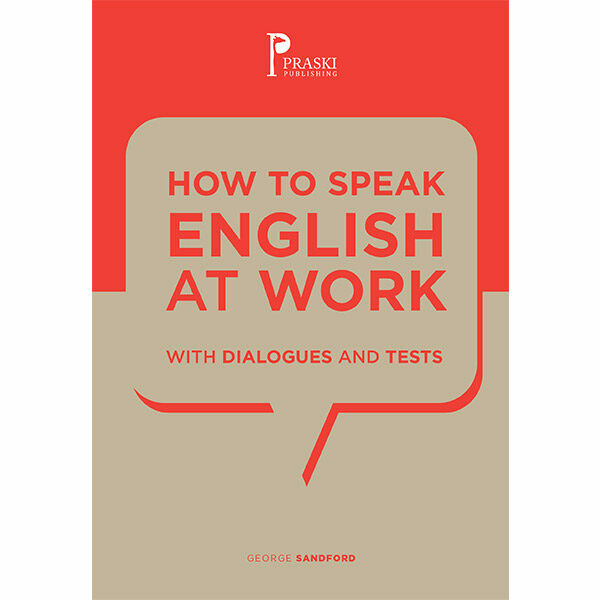 This book is for people of upper-intermediate level and above who need to speak English for work. This book is for people of upper-intermediate level and above who need to speak English to native speakers as part of their work. One of the difficulties in learning English is that a lot of textbooks do not prepare you for contact with native speakers in the workplace. That’s because everyday language is more informal, idiomatic and full of words and phrases that you might not have come across. How to speak English at work solves this problem by presenting you with authentic, funny and entertaining dialogues between colleagues dealing with typical work issues such as training, employee reviews, meetings and celebrations. There’s also a bonus chapter on holiday travel. Each dialogue is accompanied by an explanatory glossary and a short test. By the time you’ve finished the book, you’ll be speaking just like a native – catch you later! Content style: 12 Units about work subjects with texts, phrases, tests. Target audience: Students, adults learning English, employees working in an English speaking company, people looking for work in England, language teachers.